What&apos;s next for the Zelda series after Breath of the Wild? How about a game that actually stars the series namesake, Princess Zelda? 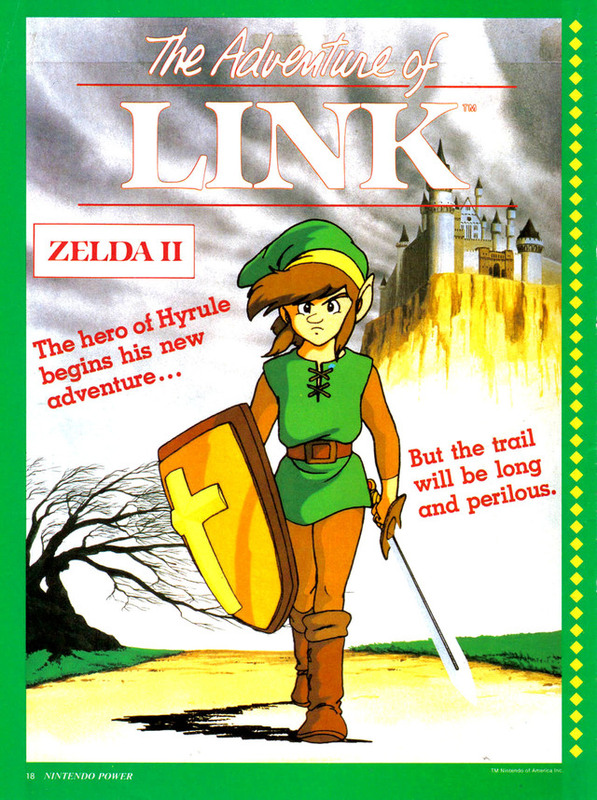 We&apos;ve been playing as Link since the series was introduced 31 years ago. In plenty of the games, including Breath of the Wild, Zelda proves herself to be just as much of a badass as Link. We&apos;ve also played as the princess in other Nintendo titles like Super Smash Bros. and Hyrule Warriors. So it&apos;s weird that you can&apos;t play as a Zelda in one of the main Zelda games. That needs to change, and doing so would be relatively easy. Here&apos;s how Breath of the Wild actually set Nintendo up to put Zelda in the starring role next time around. In Breath of the Wild, Link is tasked with collecting 12 memories which help him remember what happened 100 years earlier. You can watch all those cutscenes below, but the basic gist of it is that Zelda desperately wants to be the hero and doesn&apos;t understand why she has to rely on Link instead. Whether princess Zelda is half-heartedly blessing the Master Sword&apos;s chosen hero or holding her Sheikah Slate up to a shrine in vain, she so badly wants to play hero and is clearly frustrated that she can&apos;t.
Zelda&apos;s questioning why the Master Sword didn&apos;t choose her seems like a pretty direct note from the game&apos;s creators to Nintendo&apos;s chief executives: Why not let people play as Zelda in a Zelda game? If that&apos;s not enough to convince you, there are plenty of other hints throughout Breath of the Wild to suggest the same thing. The look of Link changes from game-to-game, though admittedly not always that drastically. He was an emotive child in Wind Waker, a Saturday morning cartoon character in Zelda 2 and an emo teen in Twilight Princess. In Breath of the Wild, Link rocks a ponytail and an earring throughout the game. He even cross-dresses at one point in the game. Not to mention all the different customizable clothing options available to you in the game. If the developers of Zelda are looking for ways to get players of the game comfortable with a female protagonist for a future game, this is certainly one way to do it. Link&apos;s lost memories offer us numerous glimpses of Zelda&apos;s true power, but by the end of the game it becomes clear how much of a badass she really is. In the final memory, which takes place after Hyrule has already fallen to Ganon, we see Zelda unleash a blinding light that knocks out the army of surrounding guardian attackers, leaving behind a graveyard of robotic monsters. Throughout the game, we also get the sense that Zelda is still around, occasionally calling out to Link and guiding him in the right direction. Zelda is the one holding Ganon at bay throughout Breath of the Wild while Link runs around solving shrines and cooking food, and she&apos;s the one to deal the final blow that seals Ganon away at the climax of your boss battle. Even if the Master Sword didn&apos;t choose Zelda, she&apos;s still the most powerful character in the game. We can&apos;t even image how formidable she would be with a few extra weapons and a Sheika Slate of her own. After Zelda: Breath of the Wild, where does the series go from here? Across the decades, the Legend of Zelda series has been bound by set rules. There&apos;s also been a series of dungeons to complete with a boss at the end of each one and a specific item meant to defeat them. You could also expect to meet Zelda, some Gorons and the Zora fish-people. But with Breath of the Wild, Nintendo mad a clear effort to break conventions. It&apos;s an open-air game with no set structure. You can solve the divine beast dungeons in any order you want, or just head straight for Ganon. Even with all these changes, one thing remained constant: The same old hero, for now. So where does Nintendo go from here? The series clearly can&apos;t go back to the more traditional structure of previous games, and it won&apos;t be easy to top Breath of the Wild. Putting Zelda in the driver&apos;s seat could help shake the series up even further, and from the looks of it, the company may be headed in that direction already. Find out all there is to know about Zelda: Breath of the Wild, including if the giant world of Hyrule even has any people of color. Learn how to preserve your items, how to beat bosses like the Stone Talus and Lynel, the best recipes for Link and how to take on the game&apos;s shrines. If you&apos;re looking to snag a giant horse with little stamina, here&apos;s you accomplish that. You&apos;ll also want to find out where all the great fairies are in the game, how to use amiibo with your version of Zelda and what went into making Breath of the Wild. April 4, 2017, 11:51 a.m.: This article has been updated.